Weather is everywhere, and it affects everyone. That’s what makes weather.co.uk so prevalent. Because we provide relevant information that touches people’s daily lives, we have a natural connection with consumers. Advertising on our site allows you to tap into that powerful connection. Because weather makes a lasting impression. When consumers visit weather.co.uk, they aren’t just surfing the Web for entertainment—they’re coming with a need, a purpose. They need to know the weather so they can plan for the days or the weeks ahead. 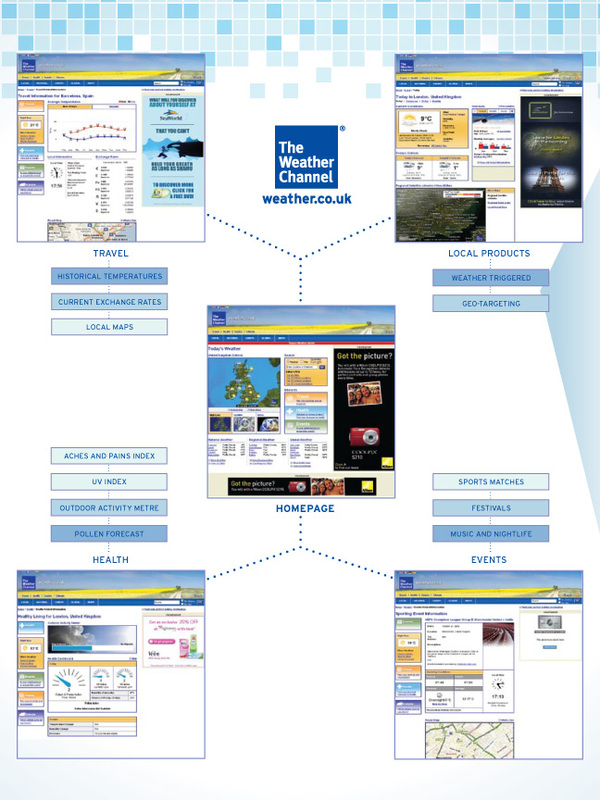 That’s why weather.co.uk visitors are more likely to remember the information they find on our site. Our users are more alert, more engaged, more receptive. They recall the forecast—and they also recall your message. Because weather breaks through the clutter. Consumers are bombarded with thousands of marketing messages each day. If you want to break through the clutter and reach your target audience, you need a partner that has a genuine connection with consumers. That’s exactly what weather.co.uk offers. Because we provide relevant information, we offer truly meaningful ways for advertisers to reach consumers. We connect. You break through. It’s that simple.